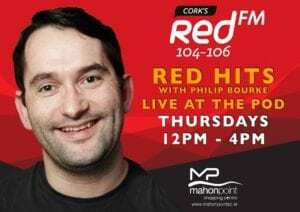 Did you know that Cork’s Redfm broadcast LIVE from the pod here at Mahon Point Shopping Centre weekly? 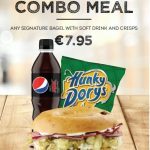 Tune into Red Hits with Philip Bourke on Tuesdays from 12-4pm for Great Music and Great Giveaways! 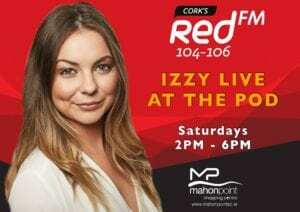 Izzy is LIVE from the pod on Saturdays from 2-6pm with the Latest Hits and more Great Giveaways! 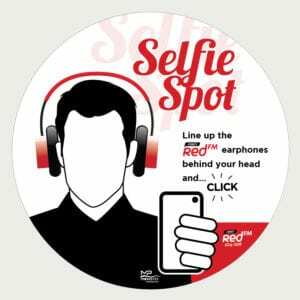 Make sure you enter your #SaturdaySelfie by snapping a pic of you wear “Cork’s Biggest Headphones” at our Selfie Spot – Tweet your pic to @CorksRedfm and @mahonpointsc for your chance to WIN a €50 Mahon Point Shopping Centre Gift Card!